So easy a child could do it. Here’s another tempting Italian porcelain figurine but this one features a much smaller price tag than some at $150.00. It measures 6Wx11Hx11L. 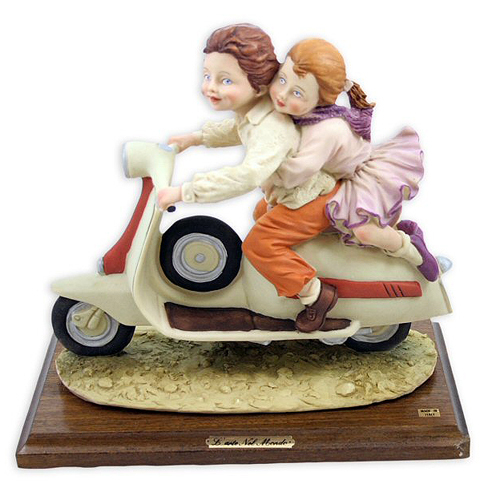 This entry was posted in Art, Decor, Models, Figurines and tagged italian porcelain, lambretta, scooter by Tracy. Bookmark the permalink.